Volunteering as a work share member at Sweet Beet Farm has been so richly rewarding because the knowledge gained about (serious) gardening is immeasurable, I've gotten better at vegetable identification, I'm learning how food grows, and smelling the dirt in the morning is just fantastic - I've even come to crave the smell of the dirt in my hands. And you have an opportunity to visit Sweet Beet in Watertown, MN! 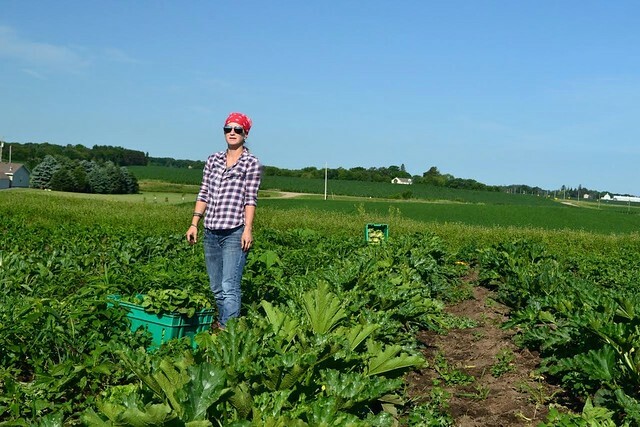 On Saturday July 25th at 10:00 Amelia will be guiding tours of her working organic farm. Come see the operation, it's beautiful! Rows upon rows of rainbow chard, witness a head of cabbage in all its glory, experience harvesting a vegetable or two. And then our group will have an al fresco lunch at the farm - all prepared by myself featuring Sweet Beet's unbeatable produce! It's going to be so fantastic, you don't want to miss this! I cannot wait to meet you. 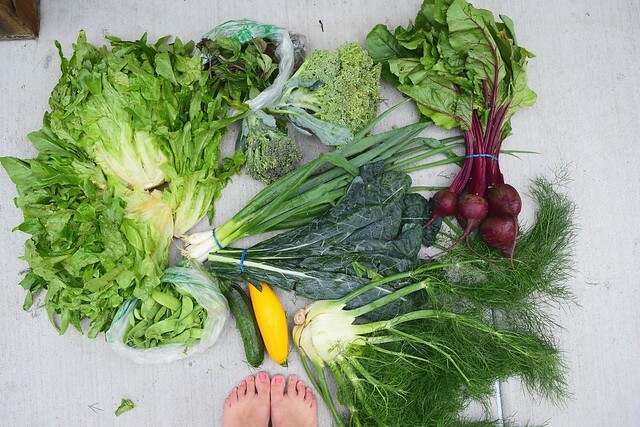 Vegetables L to R: Lettuce, Snow Peas, Thai Basil, Broccoli, Green Onion, Summer Squash, Lacinato Kale, Fennel, Beets, Toes - not a vegetable. 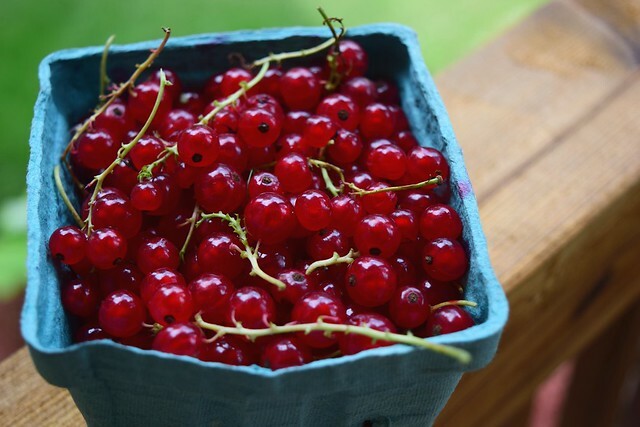 There was no deciding which photo of currants from the CSA bushel I enjoyed more, so you get them both. What have you done with currants before, I mean, besides coating them with sugar and eating by the spoonful? 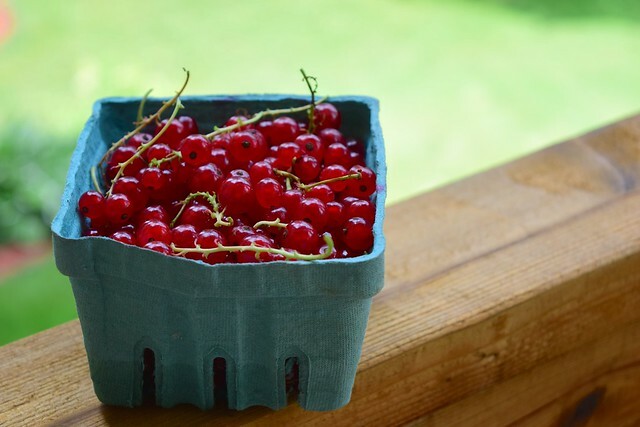 A couple summers ago I got into some currants and made a delectable pie or you could stir them into Sparkling Raspberry Gelatin and replace raspberries with currants. OOooo — I need to get busy!